Well, it didn’t quite go as I had planned, but I guess things happen! Today I read and showed the class a poem I first heard as a child- Fog, by Carl Sandburg. From the first time I read it, the image of the fog on little cat feet captured my imagination. I couldn’t pin it down, the image always changed. The silence and weightlessness of a cat materialized for me, like fog, in a form that shifted from opacity to hazy translucence. At first, I told the class, I was curious. I had to read it, and read it again. I looked for the word or line that gave me this easy but unbalanced sensation. I couldn’t find it. All the words were just regular words. Sometimes a poem draws us back to it, and we’re not sure why. 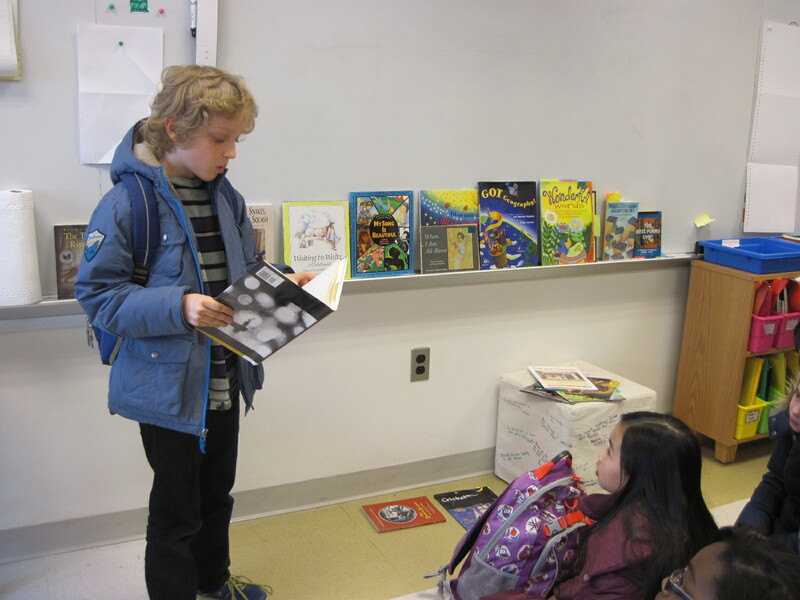 Today I invited kids to look through all the poetry books I had spread out, and any others they wanted to bring in. After I read Fog, I told them how it was curiosity that brought me back to the poem again and again. We talked about other things that might bring us back to a poem- images, sounds, meanings, connections, feelings, sensations, desires- a poem may just touch a facet of you that you that you want to know more about. I didn’t really need to say more before they were off. 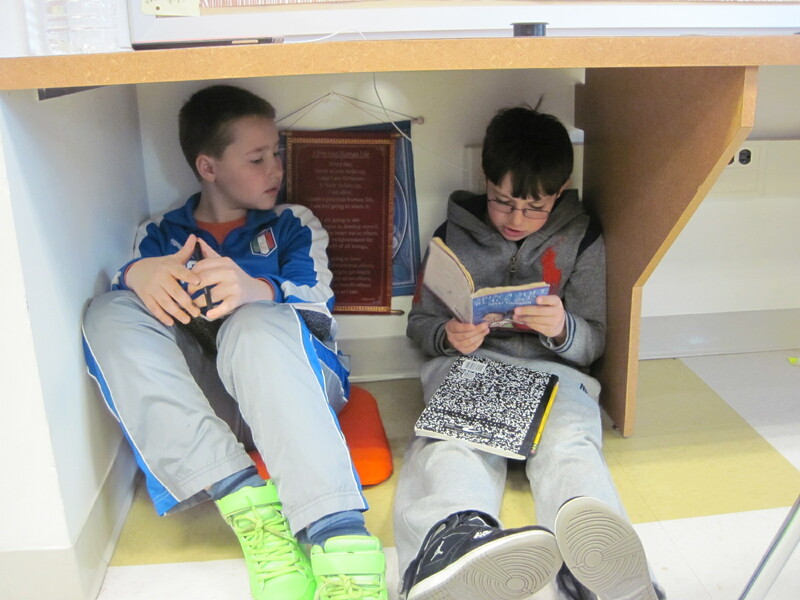 Individuals, partnerships, and small groups gathered organically around books. 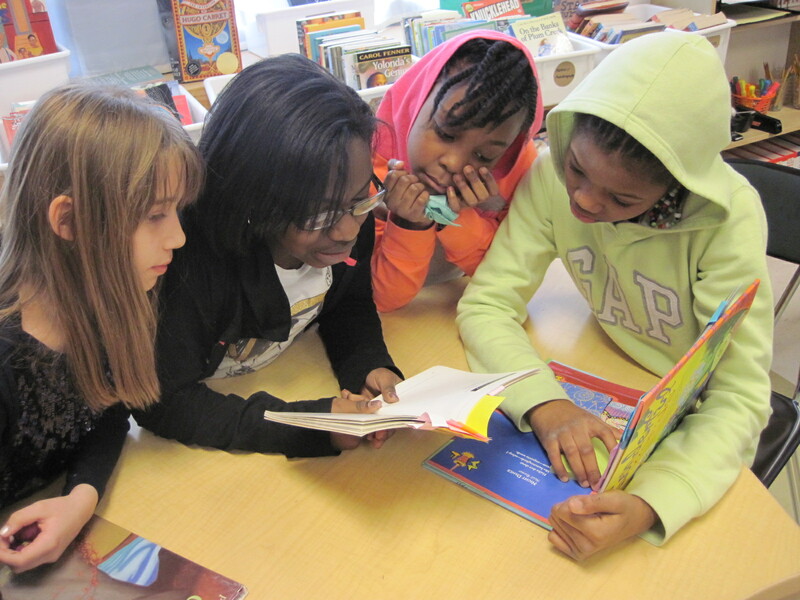 As I walked past one group, I heard Maya say, “Wait, I need to read that again. That was DEEP!” Across the room Matthew and Raul were giggling about something in The Dream Keeper and Other Poems, by Langston Hughes. As I walked up to see what was so entertaining, they looked a bit sheepish, as if they shouldn’t be laughing. They were reading poems from the Feet o’ Jesus section, written in a dialect with which these two are wholly unfamiliar- African American, southern, early 20th century. They laughed at words and phrases like “Ma Lord,” “a-walkin'” and “heaben.” I wanted to take the book and give them something else, but I sat down to listen instead. “What’s making you laugh so much?” I asked. Wow. I’m still wondering how I want to go forward with this. It’s like characters, not real people. Questions and ideas are stacking up like loose hay in my mind right now. “I wonder why Langston Hughes chose to write these poems like this,” I feebly offered. I left it there (the clock said it was time to go to recess). 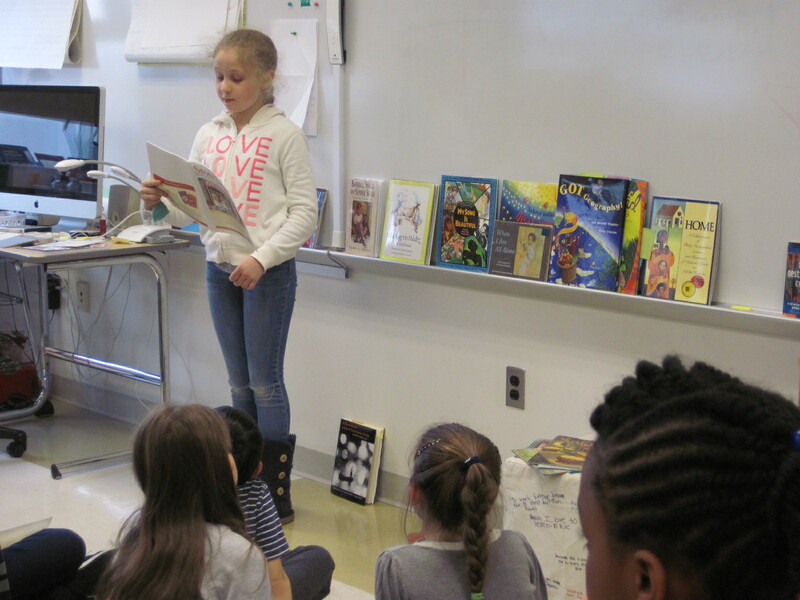 On the way there, Maya asked if people could share some of the poems they found with the rest of the class. I had planned to have some kids share, and then ask about what drew them to the poems they chose. Instead, I was facilitating a conflict resolution between two friends who had come back from gym in tears. Maya took over and appointed herself emcee of an impromptu poetry slam. The reunited friends and I entered the room to the sound of snapping fingers, and everybody seemed so joyfully to be playing with the rhythms of their classmates’ selections. Your blog gives me hope for the educational system! I’m inspired. You have a new follower. Thanks! I’m so lucky to work where I can do this! Thanks, Mom! I’m trying to think of a way you can magnet it to your fridge!